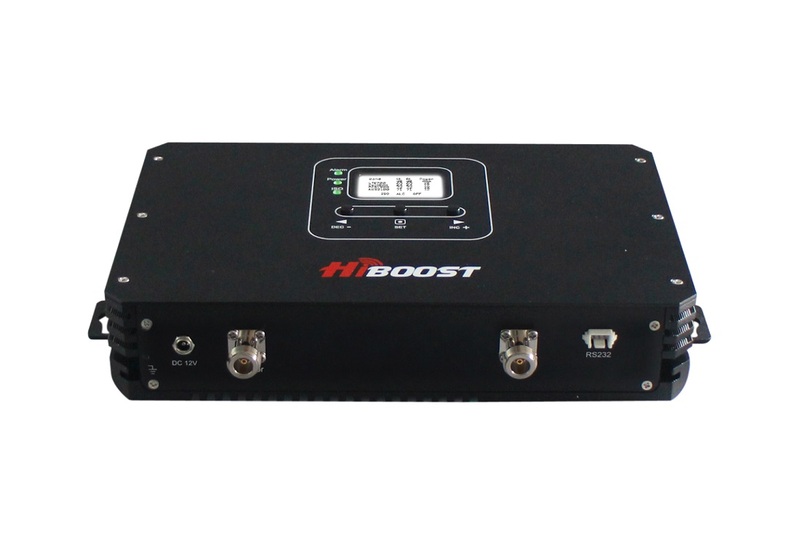 Kevin Taylor of Powerful Signal shares first-hand perspective on HiBoost cell signal boosters — HiBoost Commercial 20K Pro and Commercial 30K Pro. Watch this review of HiBoost Commercial 20K Pro, 30K Pro cellular signal boosters. 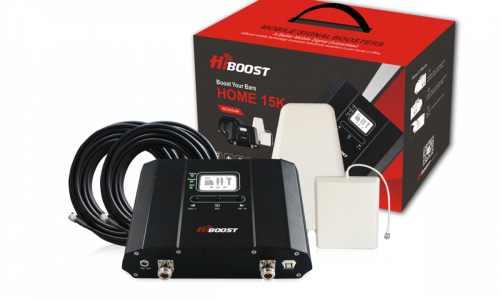 There are a few trends happening independently of one another that have one thing in common: Each creates a business argument for AV integrators making the installation of cell signal boosters, including HiBoost Cellular Signal Boosters, a bigger part of their businesses. Companies increasingly expect their employees to use cellular devices for business communication. Companies increasingly embrace less expensive rural locations that suffer from poor cellular coverage. Urban companies risk cellular interruptions thanks to tall buildings. Employees rely on data sent and received via their cellular phones. 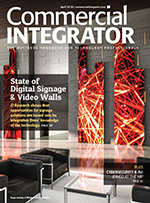 AV Integrators are in the business of solving their customers’ business problems, not just their AV problems. 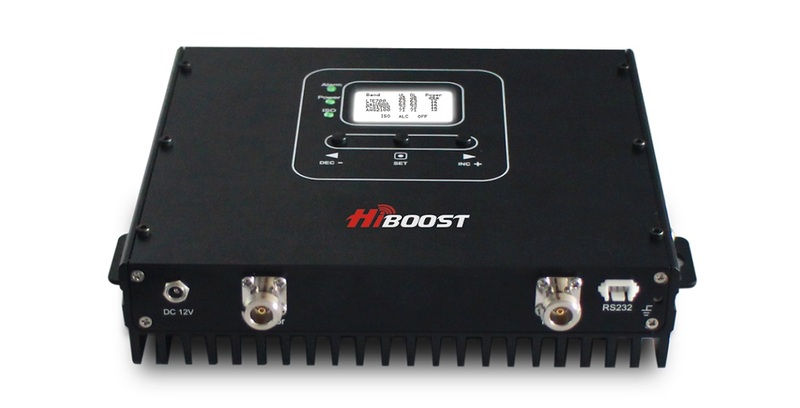 HiBoost is an example of a cellular signal boosters manufacturer that sees itself as helping AV integrators address these customer challenges. It does so with a deep product line that includes commercial-market targeted solutions such as the Commercial 20K Pro and the Commercial 30K Pro. Kevin Taylor, president of Hurricane, Utah-based Powerful Signal, recently installed both commercial product lines. He provides a peer-to-peer review for Commercial Integrator. Can you tell us a little bit about a project in which you’ve used HiBoost cell signal boosters? Taylor: We used a HiBoost 20K Pro, and also the HiBoost 30K Pro. They both have worked out very well for us. They both have very good usability in different environments. Let me give an example. We have one company we’re working with on a rollout of [several] dozen of buildings in heavy urban areas [such as] New York, Chicago [and] Boston. In that environment, we use the HiBoost 30K. The user load is heavy in those commercial buildings. They’re very high-visibility, high-profile office spaces. That product has worked extremely well, and is something that we’re very satisfied with. We have another rollout going which [with dozens of] remote locations. These are locations that are much smaller [and] each location is very similar to the other location. We use the HiBoost 20K in those facilities, because they can handle the user load just fine, and it also helps keep the cost down for the customer. What specific features led to choosing HiBoost over alternatives? Taylor: One of the key features that we like in the HiBoost systems — whether they’re a small residential system, or a large commercial high-rise office building with 20 floors — is that the equipment has the ability to be automatic, which is important for some situations. It also has the ability to be user-configured. In other words, we can set different configuration levels for the different frequencies, and allow signal to be either increased or reduced in the amplifier. The flexibility of configurable and automatic is one of the key features that we like about the HiBoost product. For what types of applications do you think HiBoost products are a good fit? Taylor: They have a full range of products. Our downtown urban office buildings can be hundreds of thousands of square feet. Having a product line that is scalable from small to large is very nice. They have very similar features, whether you’re talking about $400 or $500 cell signal boosters for a small home, or a warehouse or something like that, to a big, large commercial building that might be $50,000 worth of equipment. The same features are available in each one of those pieces in the product line. Having consistency across sizes is nice. Can you describe how easy or difficult the installation process is? Taylor: I’ll lump all of the cell signal boosters into sort of the same situation. There are situations where they’re very easy to install — one outside antenna, one inside antenna, turn it on and it works. That’s the simple of simple situations. “We have had very, very, very few failures,” Taylor says. As you grow in size, and as you grow in square footage, ceiling heights, complexity of architecture and things like that, then it’s not one size fits all. Then you get into sort of custom situations where you have to get into the design scenario. Each antenna location has to be calculated and designed so that the performance from that antenna is accurate. It goes from simple to something that if an integrator is biting off a multi-floor high-rise building in downtown New York City, that becomes something that is more complicated no matter what booster you put in there — no matter what manufacturer you put in there. It has to be calculated, and analyzed, and designed properly, or it’s not going to work. What are the three biggest pros to these products? Taylor: The quality of the equipment. In other words, it is manufactured with a really high quality. We have had very, very, very few failures. With electronic equipment, you’re always going to have some kind of failure, no matter who the equipment’s from. Along with that we view the performance of the system very high. We like the ability that it has to pretty much always work the way it’s supposed to as long as everything is done properly. Working with the company, HiBoost, is actually a very positive scenario, too. We’ve been with them since the first of the year, and we’ve had a very good experience with them in working with them. We feel that they value us, and we value them.